As a southern woman, I know the value of hairspray. It's pretty much a cultural icon in my neck-of-the-woods. However, did you know that hairspray can be used for other things besides taming your strands? It's true! This traditional hair product can do more than just set your hairstyle. From cleaning stains to fixing clothing, this multi-faceted product can do it all. It really is a lifesaver (or clothing saver) in a can. So, next time you run into a sticky situation, consider using hairspray. Whether it's the aerosol or the alcohol, hairspray contains many ingredients that help combat many of life's smaller issues. No more running your garments to the dry cleaners for every spill or stain. Just grab a can of hairspray. It doesn't have to be a pricey bottle either; any brand will do for these cool life hacks. Solving your day-to-day issues has never been easier! Go ahead, and get spraying. Wondering what amazing feats hairspray can accomplish? 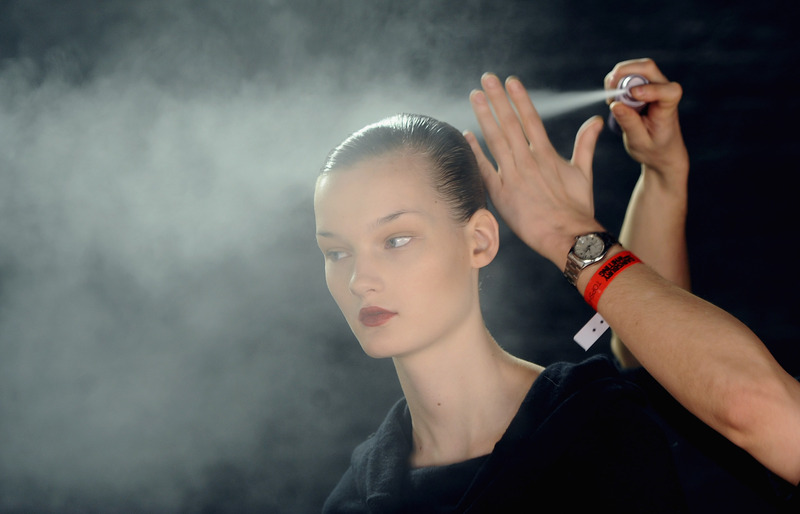 Here are nine unexpected ways to use hairspray that don't involve actual hair. According to Cosmopolitan, hairspray is excellent for removing makeup stains. Simply spray the garment with hairspray, and throw it in the washing machine. Set your nail polish in place instantly by spritzing hairspray over your damp nails as suggested by beauty experts at DivineCaroline.com. The hairspray will act as a sealant, and hold the polish in place. According to StyleCaster.com, hairspray is an amazing way to stop runs in stockings or tights. If you don't have time for the old clear nail polish trick, then simply use hairspray. If you're out of standard nail polish remover, then turn to hairspray to remove any chipped polish. Simply spray on a cotton ball, and rub against the nail. Voila! Beautiful, polish-free nails. Can't seem to thread a needle? Try spraying the thread with hairspray. The spray will stiffen the fabric, which will make it easier to put through the eye of a needle. As a crazy cat lady, I'm constantly finding pet hair on my favorite clothing. Remove lint and pet hair by spraying a washcloth with hairspray, and rubbing over the garment. The cloth will pick up any pesky lint, according to Gurl.com. Falling zippers are the worst. Oh, hello underwear! Stop your zipper in its tracks by spraying it with hairspray. According to Babble.com, the spray with stiffen the zipper's teeth, and keep everything in its place. Neutralize static cling by spraying the garment with hairspray. According to Gurl.com, this is an easy way to bring your clothing back to life. Seal glitter in place by spraying it with hairspray. The alcohol in the hairspray acts a sealant that will keep pesky glitter in its place. Forget diamonds: Hairspray really is a girl's best friend.